Always use good hygiene practices when working with suspect asbestos-containing materials. Don’t inhale the dust! Wet-wipe up any dust generated during the sampling process. Don’t vacuum as it will spread the dust. Over carpet lay down a disposable surface to catch dust such as a plastic sheeting. Also when done, wet wipe your tools and wash your hands thoroughly. Submit the sample in an airtight container such as a ziplock bag. Double bagging is a good idea for dustier materials such as popcorn ceiling or blown-in attic insulation. Samples can be hand delivered to our Tigard service center or our Milwaukie lab. You may choose to use a delivery service such as the post office, FedEx, or UPS. When placing the baggies in a mailer, make sure that they are shut tight. Also, if you are using a regular envelope and mailing it through the post office, do not use the ziplock bags with the nub-like zipper. Those get hung up in the sorters and rip open. Complete a JSE Chain-of-Custody sample submission form as best you can. The critical part is to write legibly and include your contact information. JSE’s friendly staff is always willing to help answer any questions you may have. In general, the lab needs approximately a couple of square inches of hard material or a couple of teaspoons of loose material. We need at least a cup or larger of vermiculite attic insulation for a qualitative test. Below is even more information about sampling common suspect asbestos-containing materials. For questions regarding specific materials, or if you just need help in general, we welcome your emails and phone calls. Please do not hesitate to contact us! The lab needs approximately one to two square inches but it can be a long skinny strip, or a perfect square, whatever works best for you. Also, sample from the top down to substrate. Include any paper backing or mastic (glue). A sheet vinyl floor generally consists of three layers: the upper vinyl surface, a felt backing, and mastic (glue). 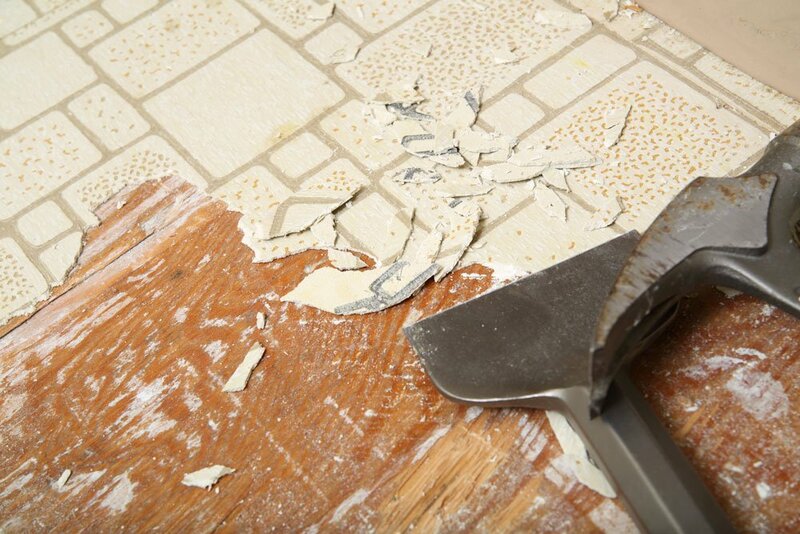 A floor tile is usually two layers, the tile and the mastic. Sometimes there is leveling compound or a vapor barrier underneath. 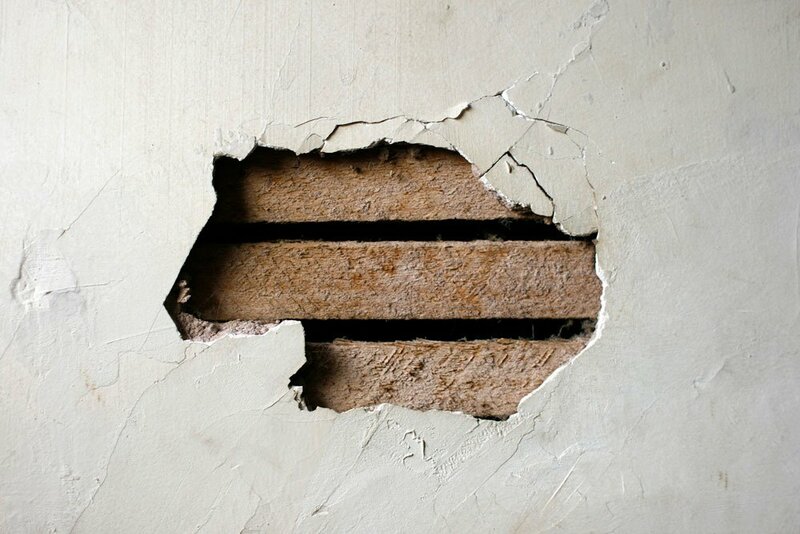 Those materials are suspect for asbestos as well. Cut them out with a hammer and wood chisel or carpet blade or any tool that will work for you. Place the contents in a ziplock back. In order to know if you have made it down to the substrate, determine how many generations of flooring lie beneath the surface. You may notice that there is a slight elevation change when you enter the room. Pulling up a floor register is a great way to view it in cross-section. You may see the original floor at the lowest level, then wood decking above that original, and still more flooring above that. Whatever the case, sample through the cross-section as deep as necessary for your project. Our inspectors like to sample with a wood chisel and hammer or something similar. 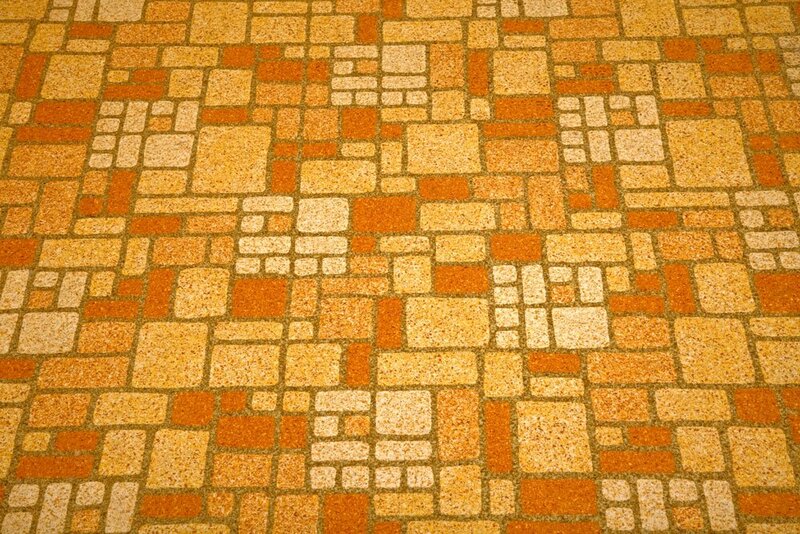 If you are just sampling the upper generation of flooring, and it is a sheet vinyl, a carpet blade or box cutter may work. A sample needs to be representative of the entire area. 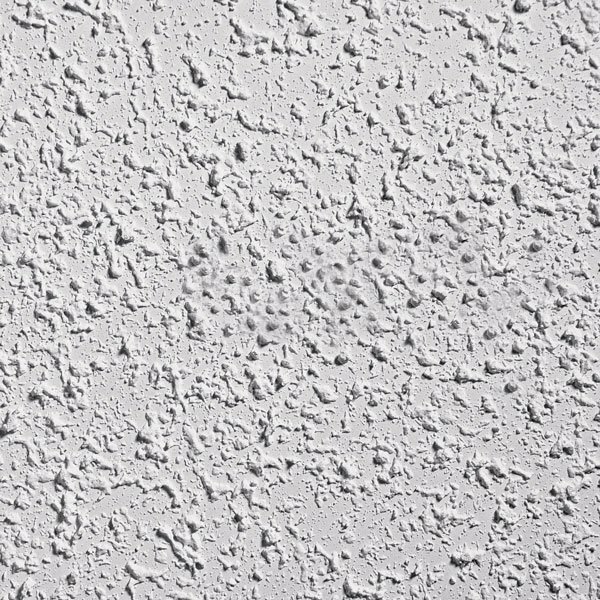 If you suspect that there was and addition to the home or building, and that the popcorn ceiling in one area may have been applied at a different time than the other, then sample from each location. Also, it is best to submit at least two samples from the same ceiling. There are stories about workers mixing the asbestos into buckets before spraying the mixture on the ceiling. The worker at one end of the hall may have put a lot of asbestos into the mix while his co-worker at the other end of the home may have used little to none. It is best to capture at least a couple of areas. Some regulations actually require three or more samples. 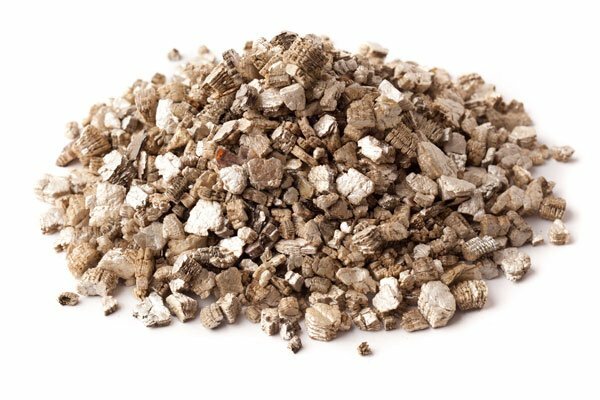 Vermiculite was popularly used in attics and wall cavities. Although some methods require a gallon of material, most labs only require at least one good cup in order to make a qualitative determination as to the presence or absence of asbestos. Invert the plastic ziploc bag over your hand and sample from the top of the material, where grains are more coarse, down through to the bottom of the material, where grains are finer. Often the asbestos occurs as smaller, heavier grains that settle to the bottom of the attic floor or wall cavity. Grab around the material, pull the bag around it, and seal. For wall and ceiling systems, make sure to sample through the material so that an identifiable cross-section is collected. For example, a cross-section of wallboard might have a painted textured surface followed by layers of tape, joint compound, brown paper wrap and a white, chalky sheet of gypsum. Sampling from an inside corner where two pieces of drywall are seamed with “mud” and tape is recommended. Plaster systems may contain a fine coat of painted texture on the surface followed by a coarser-grained “scratch” coat over a wood lathe and metal screen. The wood and metal do not need to be included in the sample.